The first step to navigating the wedding planning waters is for you and your partner to establish your priorities and vision for your wedding. Having a firm grasp on what is most important to the two of you and how you envisions your wedding day is essential to ensure your day looks and feels like you - and not simply a cut-and-paste version of a wedding. Below are a few helpful tips (and a free workbook) to help you clearly define your vision and create an authentic celebration that represents you, your partner, and the start of your life together. What are your absolute essentials for your wedding? An epic dance party? Amazing food? A particular venue or photographer? Where are you willing to invest a little more money and what elements can you do without? Knowing what these priorities are from the start will help you make intentional decisions that will result in a more authentic and meaningful wedding. It also helps to ask yourself what has you the most excited about your wedding and, on the opposite end, what has you the most nervous. If you’re most excited about celebrating with family and friends, then prioritize elements that will enhance the party environment. If you’re most nervous about getting bogged down with logistics and planning, then prioritize a Wedding Planner or Wedding Coordinator. I’ve created a FREE worksheet to help you and your partner set priorities and define your vision for your wedding. I recommend writing down your top three priorities separately and then coming together to compare the answers. It might surprise you to see what your partner has listed as a high priority – they may have some really meaningful ideas in mind that you would never have considered otherwise. From here, try to establish 2 - 4 priorities that the two of you can agree on. When you begin to feel overwhelmed by decisions, come back to these priorities to help keep you focused. After you’ve established your priorities, then next step towards creating a wedding that feels like you is to think about what words best describe you and your partner. Using the worksheet provided, write down a few words that describe your personality and your partner's personality. After you’ve done this separately, compare your answers with your partner’s and talk about how your personalities can help dictate your wedding decisions. If the two of you are vibrant and outgoing, then you might want a large wedding with a lot of dancing. If you’re more artistic, you might want to opt for a unique venue or decor elements. You’ve established your priorities and define your personalities - the two elements that will make your wedding feel like you. Now let’s discuss personal style - which will help you create a wedding look like you. What words would you use to describe your style? What colors do you gravitate towards? If you need help with this, then look to your wardrobe and home decor and write down what stands out. Or think about your favorite restaurant and what about the atmosphere pulls you in. Do have a favorite artist? What colors or themes are prevalent in their work? Again, compare these answers with your partner. If you’re living together, you may have already had discussions (or fights) about your differing tastes. Now’s a good time to look at how you define your styled and what aspects or elements could work together for a cohesive look. It might also help to write down how you would define your partner’s style and share that with them. The danger of Pinterest and collecting thousands of images is that we then feel pressure to recreate every. single. one. of these details in our own wedding. When we fold a million-and-one different details into our wedding without personalizing or editing them, the end result is tragic. At best, we end with a cookie-cutter wedding that is in no way an authentic representation of you and your partner. At worse, we have an in-cohesive, chaotic mess on our hands. Instead of feeling pressured to recreate the weddings you see, think about what elements in particular inspire you - the colors, a feeling of whimsy, etc. Finally, if something is true to you and your vision, don’t worry about if it’s trendy or not. Trends come and go. Authenticity is timeless. 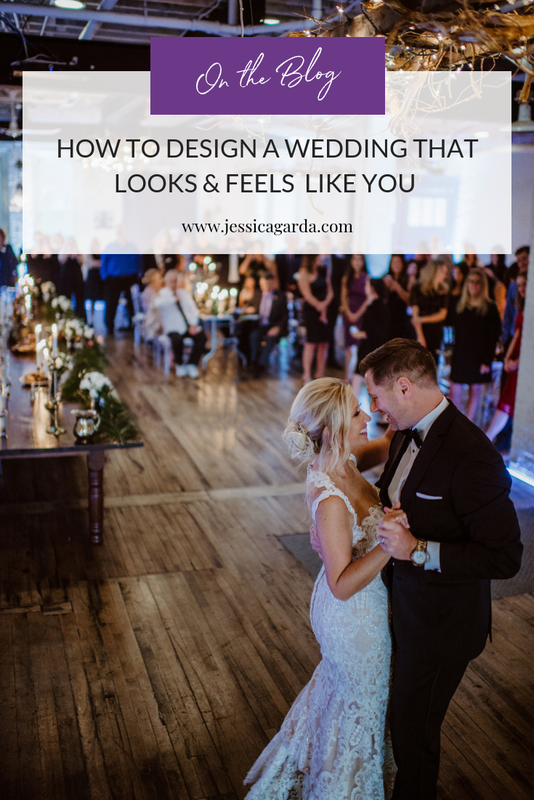 My hope is that these tips will help you and your partner learn more about your personal preferences and start thinking about how they can point you in the direction of a more intentional and authentic wedding. Having clearly defined priorities will also help you as share your vision with your wedding planner and vendors.